My daughter wants me to take her wedding pictures and Obviously I want to do a good job. I have a Nikon d40x with both the standard 18-55 lens and the 18-200 lens. I've taken some good pictures with the onboard flash, but want to get the better studio quality pictures by useing the diffusers or umbrellas or something.I probably won't use the stuff (much if at all), after the wedding so I don't want to spend a ton of money.I've looked on the web but don't know what I NEED versus what I can get by with. I saw some translucent umbrellas on E-bay cheep but don't know if they are worth the time to get them. Plus I was thinking of a flash unit and slave trigger device. The last two Items I might take caving with my camera IF I get a decent Hard box (maybe Pelican). Hire someone. First, the images are precious, and they deserve a professional's skill. Second, at his daughter's wedding, behind a camera is no place for a Dad. Found this on Internet. I think I would buy one myself. I am assuming your daughter wants you to shoot her wedding since you have a camera and that you have been taking some excellent shots with it. If you have not done a wedding before be prepared for some challenges in doing this. Do some test shooting before the big day and also make sure you have some spare batteries for your flash. It is better to have at least two flashes so you can just swap them quickly and in the advent that there is a problem with one you have a back-up. It is also common practice to have a back-up camera as well. For a diffuser not breaking the bank. 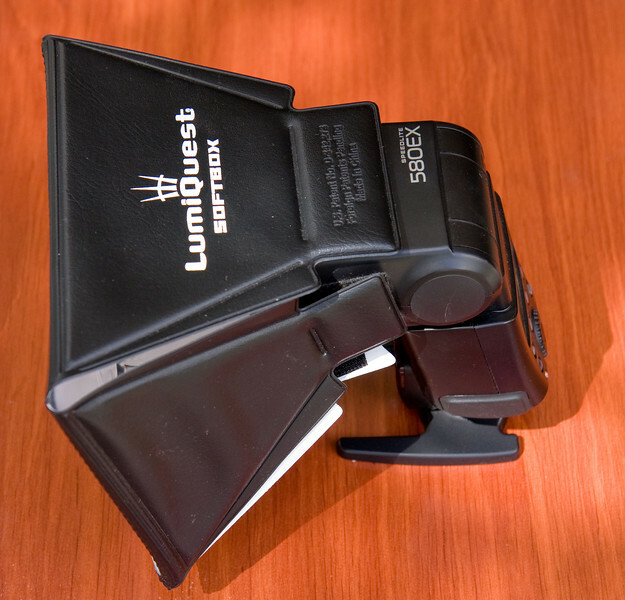 I recommend the Demb Flash diffuser. Gary Fong is also good and most popular as well but costs a bit more than the Demb. The Demb offers a bit more though and it will need some shutter time to learn how to maximize its uses. Try shoot a pre-wedding shoot with the couple and get a feel for what is in store for all of you and get a list make up of shots you should have included for the day. Just using the onboard flash will not give you the best results but Gary Fong makes the "Puffer" if that is really your only alternative. Slave trigger flash set-up can be pricey but you can look up Gadgetinfinity.com and look at other diffusers, flash units, slave triggers and so forth. Congratulations on your daughters big day coming up! David French has the right answer-my partner and I do weddings part time and I hired pros for both my daughters weddings. You can go from Hero to Zero really quick-your daughters expectations will be really high &amp; you will have a lot of other things to do. Just have fun taking shots the pro doesn't &amp; you will have no pressure.